“…Earlier this month, Scherer participated in The Spring League in Austin, Texas. Competing against former NFL players such as Johnny Manziel and Zach Mettenberger, Scherer got his first taste of returning to live football. More than anything, the competition served as confirmation that he could withstand the blocks and the hits of serious football again. It also gave him a shot to perform in front of pro scouts and front-office personnel. 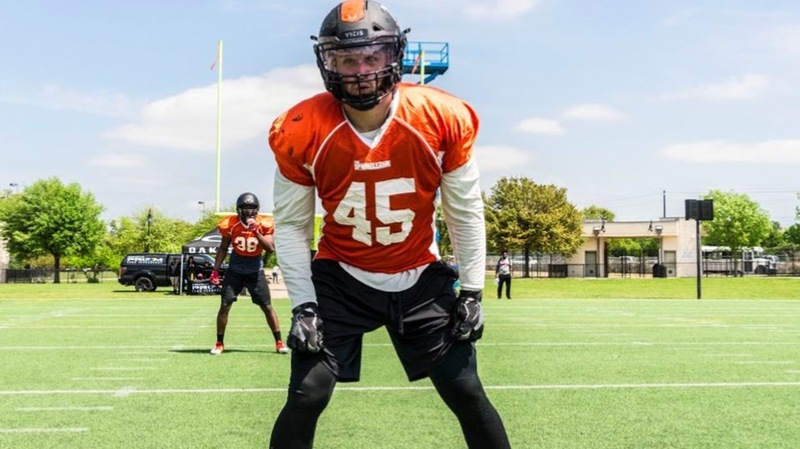 Previous TSL S Keith Reineke signs with the Calgary Stampeders of the CFL! Next TSL DB Raysean Pringle signs with the Detroit Lions!